Is Your Sick Time Sick? The biggest differences between timekeeping methods are how they are used and their accuracy. There are a few basics any timekeeping system should provide, particularly in California. 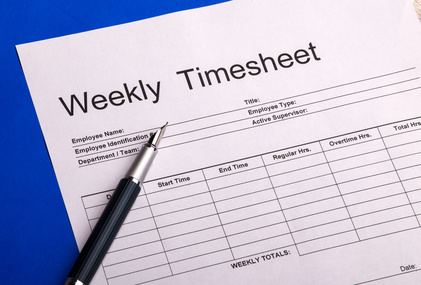 Keep in mind the whole point of a timecard is to record time worked so the employee is paid correctly. You want exact times, not rounded times (even if you later round). A timecard showing they started work each day at 8:00am and left for lunch at noon, etc. will not save you from claims. No one is that timely and the courts know this means they weren’t using “real” times. A normal employee is more likely to clock in at 7:58am or 8:02am and take their lunch at 11:50am or 12:10pm. Anything other than specific times can and will be questioned. Are they entering the information each time they stop for the meal break and return to work? California has very specific rules about the timing and length of that meal break. If the timecard doesn’t show exactly when they started and stopped the meal break, you could be subject to penalty pay. This is one hour of pay the employee receives if you can’t prove they started the meal break before the 5th hour of work or if they take less than 30 minutes. Again, just popping 30 minutes in there won’t prevent claims. The California Supreme Court recently gave their ruling on de minimus time. This is those few seconds or minutes that aren’t actually on the timecard. Do they pick up your emails or messages after they’ve clocked out for the day? Do they need to do a couple of work-related things on their way out the door after they’ve clocked out? In California, the decision was made that this is paid time and possibly even overtime. Unless you ensure your employees are using your timekeeping system correctly and you can show proof of all time worked (and paid), you are at risk for claims. A digital method for timekeeping is typically more accurate than a paper timecard. However, you may also find more missed “punches” by the employees. Regardless of which method you choose for timekeeping, you can’t just implement it and ignore it. Regularly review the reports and/or timecards to ensure you’re still compliant. 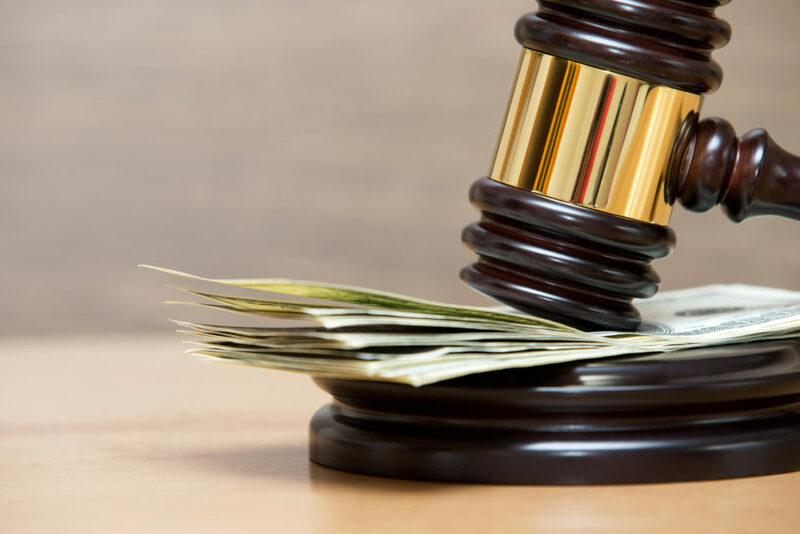 It can be very costly to just assume you’re protected. When you are interviewing candidates for your job opening, you must still follow all the normal employment laws. While the candidate is not yet an employee, there are still protocols. If the candidate doesn’t do well after working for you for a day, you’re paying them cash for their time. However, both IRS and California would object strongly to this because they didn’t get their piece of that money. When it comes to the workplace, you can’t just hand out cash and walk away. You needed to put them on payroll, even if it’s only for the day. That’s the legal way to pay for that time. If you need the candidate to work a whole day before you can tell whether or not you want to hire them, you need to work on your interviewing skills. Not only are there a lot of questions you can ask to help determine just what this candidate does and doesn’t know, there are other ways to test their skills. Administrative – Provide a letter with several formatting challenges and have the candidate duplicate it on the computer. Looking at the digital version will tell you how well they know the software you use. Electrician – Provide an electrical plan and ask the candidate to identify the parts. IT Help – Loosen a computer cable and ask the candidate to create a document on the computer. Learn whether they understand the protocol for determining why a computer isn’t working. If a candidate needs to know specific software, create a test with that software and watch how well they can use the program. When using these tests, make sure they are very job specific and you are consistent by using the test for every candidate you interview. It only takes some imagination and thought to develop better questions and a legal test you can use. Learn to go deeper and deeper into how the candidate did something so you can tell if they were merely a part of the process or truly understands how it worked. No matter how well the interviewing goes, you may not know how good of an employee this person will be until you have them on the job for several weeks. If things don’t work out, use that experience to determine what else you could have asked during the interview to have made a better choice. Interviewing techniques should be refined with each new hire so, over time, you are making much better hires. This can truly be a nightmare and it’s not the first time we’ve heard of a terminated employee taking over control of something belonging to the company. Social media — You’ve made someone the admin for your social media accounts so they can monitor it and add posts. Now, when terminated, that employee goes into each account and removes all other users. Now you’re seeing posts slamming your company. You can’t find a way to even contact the social media people to try to fix this. Cell phone — You have a company phone number and your employee is using the cell phone connected to it and has access to that account. Your employee, when terminated, has called the phone company and switched the account to a personal one under their name. The phone company tells you the employee had the authorization for this change so there’s nothing you can do. The clients are still calling “your” number and your ex-employee is stealing them for his/her new company. It’s much harder, if not impossible, to regain control once it’s gone. Your best chance at this point is to have an attorney write the ex-employee a letter demanding return of control. However, unless you are willing (and can afford) to follow this up with a lawsuit, it may not work. Plan ahead and develop best practices to avoid this. Make sure an owner is the originator on accounts, not an employee. Some accounts will let you set up a user who can do what is needed but does not have the authorization to make drastic changes or change ownership of the account. Go into each account regularly to ensure you still can. We often choose the easy route and let someone who knows more about these things become the administrator and that can work well… until it doesn’t. If you’re planning to terminate this employee, have someone change those passwords while you are meeting with the employee. If you need to change the passwords yourself, do it the moment the meeting ends. Waiting may be too late so be proactive by having a plan in place. Imagine having to pay $1.1 million because you “chose” not to follow California’s wage and hour laws. It’s not just a scary thought for one San Jose company. New companies often don’t even know there are tons of California laws they must follow. However, you become subject to many of the laws once you have 5 people in your company… and the bigger you are, the more laws there are on that list. In the state’s view, when you haven’t taken the steps to learn what CA’s laws are so you’re compliant, you are actually choosing to be non-compliant. Starting this July, the company will pay those workers $1 million for unpaid wages due them and also pay $100,000 in civil penalties. 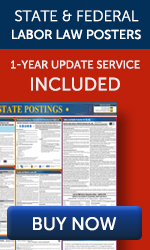 The Labor Commissioner’s Office looked back 3 years but can legally go back 4 years. The settlement reached was part of mediation talks because the company demonstrated a willingness to comply with state laws. That may have helped lower the penalties but there is no discount on the amount of unpaid wages. Choosing to ignore wage and hour laws comes with high risk. It only takes one employee to start an investigation and there is no escaping the penalties that will follow. 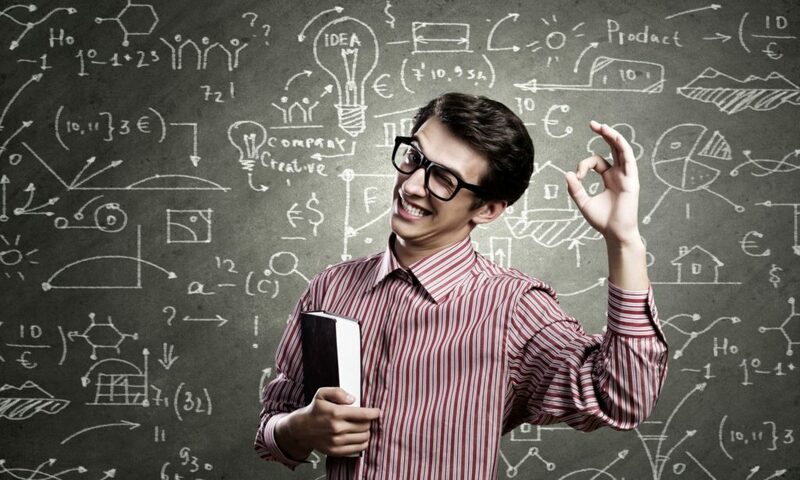 It’s hard enough to grow a business… why bother if you don’t want to do it right? If you’re still choosing the “dark” path, make sure you’re putting plenty aside for fines, repayments, and attorney fees. If you want to know how to be compliant, give us a call. Unlimited PTO is a plan that includes an unlimited amount of sick leave, personal time off, and vacation time. Some companies are moving toward that because it is seen as a great tool for recruitment and retention. How will you limit abuse of the plan? — Some employees will take full advantage of the plan but are they also taking advantage of your other employees? For example, Sam loves the time off and chooses to take one week off each month but Ruth ends up with extra work whenever Sam is gone so she’s lucky to even get 2 weeks each year. Do you have good job descriptions? — Having someone take time off may not be a problem for you as long as their job is getting done. However, what are you using to determine whether or not they are actually doing their full job? Have you discussed your expectations with each employee? How do you ensure employees aren’t gone too long? — Are you okay with Sam taking 3+ weeks off for a European vacation? How will you ensure employees are using the unlimited PTO as intended? — Since PTO includes sick leave, maybe Ruth expects to get paid for the 4 months she’s taking off because of a personal disability. What will you say to those employees who are afraid to take more than 1-2 weeks off each year but feel they should be compensated for the extra time others take off? What is your plan when lower-level employees are unable to take more time off due to high workloads? — Is the plan discriminatory because higher-level employees can take time off more easily? We can write the policy but only you can decide how the process will work within your company. Don’t implement unlimited PTO until you’ve given sufficient thought to how many ways it can go wrong. Regardless of the reason an employee is no longer working for you, the required paperwork is the same. The only difference might be the timing but plan on having it ready for their last day of employment. We tend to keep the paperwork to the minimum legally required because we don’t want something you’ve put in a letter to be used against you. The terminology or way you’ve expressed the reason for termination may be read differently by an employee, or their attorney, than intended. Why add the risk when you’re not required to provide them with a written reason? 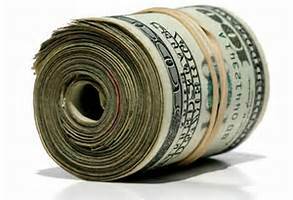 A final paycheck that includes any pay due them, up to and including their termination date. Any available PTO or vacation pay must also be on this check. Sick time is not paid out upon any form of termination. A wage statement (aka pay stub) showing the gross amount of that check and all deductions. Remember you can’t deduct anything an employee owes you from their final pay. However, you may deduct an employee’s share of the insurance premium for that month since the insurance will run to the end of the month. A Change in Relationship form that includes the date of termination and clicking the box regarding the type of termination (resignation, discharge, etc.). Do not put the employee’s social security number on the form even if there’s a space for it. This form doesn’t go any further so it’s not needed and eliminates one more resource for identity theft. This is all you need to provide and all we recommend you do provide. Hopefully you’ve given the employee a legal reason they were fired, if that’s why they are no longer your employee. Don’t feel the need to respond to their request for your reasons in writing. Just say no… cover this verbally but don’t put it on paper for them. — Paid Sick Leave provides a minimum of 24 hours paid time off each year for medically related absences but local ordinances provide even more time off. — Domestic Violence, Sexual Assault, and Stalking Leave allows employees who are victims unpaid time off for legal proceedings. — Crime Victim’s Leave allows employees unpaid time off for their own (or for certain people close to them) legal proceedings. — Jury or Witness Duty Leave allows employees unpaid time off to serve on a jury or appear in court or serve as a witness, in accordance with a subpoena. — Military Service Leave allows employees unpaid time off to serve in the military for several years. — Volunteer Civil Service Leave allows employees unpaid time off for required emergency duty. — Voting Leave provides paid time off to vote if an employee’s work schedule doesn’t allow at least 2 hours to vote. — CA Pregnancy Leave provides up to 4 months of unpaid time off for anything medically related to pregnancy. — Organ and Bone Marrow Donor Leave is a paid leave for the purpose stated in its name. — New Parent Leave allows up to 12 weeks of unpaid leave to bond with a new baby, adoption, or foster child. — School Appearance and Activities allows parents unpaid time off for certain school-related activities for their child. — Domestic Violence, Sexual Assault, and Stalking allows employees who are victims unpaid time off for medical treatment. — Military Spouse Leave allows a spouse of a qualified service-member to take up to 10 unpaid days off when that service member will be on leave from deployment. — California Family Rights Act (CFRA) and Federal Medical Leave Act (FMLA) provide up to 12 weeks of unpaid leave for a variety of things, including the employee’s medical condition, taking care of a family member’s medical condition, and miscellaneous military needs. — Volunteer Civil Service Training Leave allows up to 14 unpaid days per calendar year for emergency rescue personnel. Don’t blindly approve and deny a leave of absence when requested by an employee. Many leaves have eligibility requirements and include other details that may be important to your decision. When in doubt, ask us! 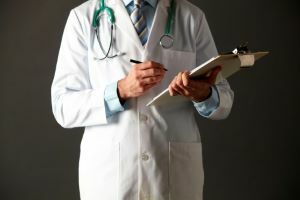 The problems with paid sick time, and even vacation or PTO, seem to become more noticeable at the beginning of a calendar year. It’s a good thing to question something as soon as you notice it because these amounts are showing up on the employee’s wage statement (aka pay stub) and they believe they have more or less than they actually do. We’ve all experienced technological blips so don’t expect your payroll service to be exempt from these. It pays to review all the information on wage statements periodically and to confirm your time off policies match what is in payroll. Many of the problems seem to stem from the form payroll companies send out for your completion about your policy. However, those forms ask the questions or give you choices based on how the payroll software sets up the time off and it can be hard to choose the correct response to match your policy. When you have a new time off policy, review the details for the next 2 pay periods and confirm it is accruing or acting like you expect. 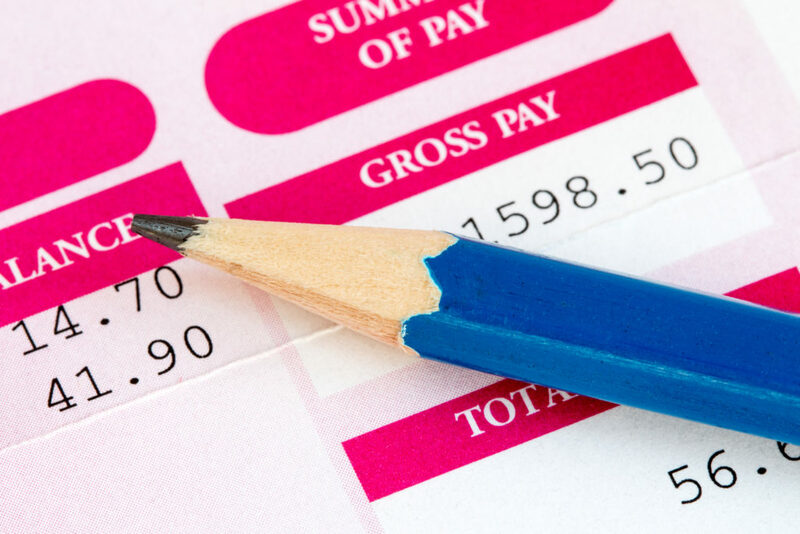 If you find the time off in payroll seems off, first review your policy again. Then talk with your payroll provider and ask them to explain how it’s set up. Does it sound the same as your policy? It often helps to send them a copy of your policy so they can better understand what you want when first setting it up. If you’ve had to alter the payroll setup and now know it’s doing what you expected, the next step is to fix each employee’s time off balance. If you didn’t catch the problem early, you may have to go way back and do some manual calculations of what they should have earned and subtract what they used so you can update the employee’s current balance. Make sure you notify the employee of what is going on so they aren’t questioning why the balances bounce around every pay period. Once you have your time off balances correct and the payroll system calculating time off correctly, make a note to do a review at least once each year. California is very serious about wage statements having correct company and payroll information so even a blip in the company address or name can result in a lawsuit. Paid time off is important to employees so don’t underestimate the value of making sure it’s correct on the pay stub. Employers seem to consistently worry about how they are doing with compensation and benefits compared to their competitors. This has become an even more important topic when you add in the equal pay laws and the heavy competition for employees we’ve experienced over the past few years. Granted, we know the tide will eventually turn and you’ll have far more applicants than openings but that day hasn’t yet arrived. Here are a few highlights from a recent PayScale survey, “The 2019 Compensation Best Practices Report.” I think you’ll find you aren’t that different from your competitors. Retention — Companies often struggle with retention. This has become bigger issue as companies have have watched their employees blindly switching employers. Loyalty is harder to find. According to the survey, 66% of respondents are now worried about retention and only 59% were worried a year ago. Regardless of this concern, companies are not yet ready to throw money at the problem. The majority of respondents are sticking with a 3% or less base pay increase this year. Market Data — Honestly, when the equal pay laws went into effect, we expected to see more resources available for salary surveys. However, we haven’t been flooded with new resources as yet so we are relying more heavily on the few resources providing data or producing surveys. Over half (56%) the respondents are doing full market surveys, 24% are looking at specific positions each year, but 18% checked market data monthly. Surprisingly, 5% checked market data daily. Bottom line, 82% of companies are using more than one resource for their market data and 14% use at least five sources. Benefits and Perks — Since companies are reluctant to offer higher pay to employees and applicants, benefits and perks are being used more. There is an advantage to this… you can change your benefits and perks much more easily, and often at lower cost, than the full cost of increasing pay. The survey shows 44% of respondents allow remote work, 37% offer flextime, 32% provide paid family leave (rather than unpaid leaves), and 10% offer 4-day workweeks. Unlimited PTO is also gaining in popularity but we suggest you first have a well-written plan to limit the potential for abuse. Pay Ranges — Companies are striving to become more transparent with pay. In 2019, 28% of respondents plan to share pay ranges with indiviual employees, 23% hope to have their comp plan reflect their culture, and 8% want to make pay ranges and employee pay information available to all their employees. That said, only 32% share the market data when giving an employee a raise and only 36% provide employees with the pay range for their own position. Let’s be real, being transparent with pay means you need a very well-documented comp plan, including detailed job descriptions, etc., so you can easily explain why Mary makes more than Joe. Much of what we see in PayScale’s survey is not a surprise. Companies have always struggled with pay, finding reliable market data, and choosing benefits. However, money is never at the top of the employee’s list of wants unless an employee is unable to meet their basic needs. When reviewing your plans and policies, ask yourself if they match what type of employer you want to be and culture you want to have. Put your money where it will provide the best results for both the employee and you. As you know, every company in California with 5 or more employees must provide sexual harassment prevention training within 2019. The law mandates the usual 2-hour training for supervisory staff and adds a 1-hour training for all non-supervisory employees. You may receive your training via in-person workshops, online training, and live webinars. We are leaving the in-person training to others because we’ve always found it hard to get everyone in one room at one time. The online training has been our usual method. However, we are excited to be presenting live webinars each month that are compliant with California’s AB1825 and SB1343. 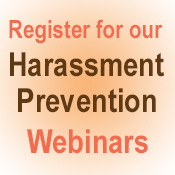 The webinars are very interactive and provide a lot of scenarios and practical applications so your employees get a better understanding of what harassment and harassment prevention look like in the workplace. In addition, employees will be able to ask questions throughout the webinar. Please review www.hrjungle.com/webinars for the dates and times we currently have scheduled. More webinars will be added each month. You may also request a webinar session specifically for your company. If live webinars are not for you, let us know what type of training you prefer and we will refer you to our best resources. Please feel free to comment on any post and/or email me your questions! Copyright © 2007-2019 HR Jungle | All Rights Reserved.